Halo 5: Forge, also referred to as Forge – Halo 5: Guardians Edition, is a port of Halo 5: Guardians' Forge mode to Windows 10, that was released on September 8, 2016. Developed by 343 Industries and SkyBox Labs, the port includes mouse and keyboard support, 4k resolution display capability, the ability to test and play with friends, the ability to publish custom maps and game modes to the Xbox One, and allows PC players to play custom matches with up to 16 players. 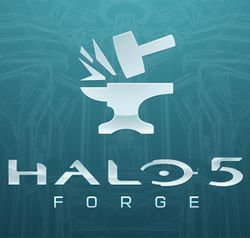 Halo 5: Forge as shown on Alpine.